We offer quality products; professional salesmanship and expert advice to all our customers with the goal in helping every driver perform to their best ability every day. Fleet operators, who choose to install Vehicle Camera Systems or dash cams, save thousands of dollars each year because of the assistance this equipment provides. Having a video recording of any collision, is a valuable record to aid a driver, should they be involved in a collision. 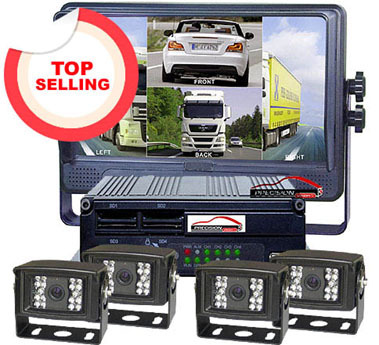 The most popular fleet management product is the SDX4 Recording Package. A comprehensive solution designed to withstand the rigorous demands of industry with 3 year replacement warranty. Camera systems operating in industrial contexts require robust and resilient equipment. 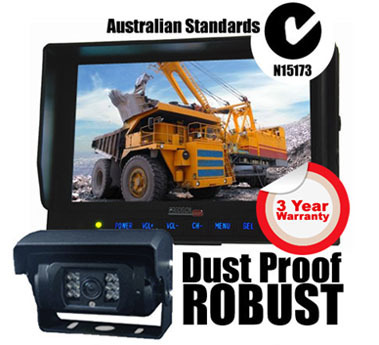 That’s why these rear view systems are used in many testing industrial applications across the Agriculture, Logistics and Mining sectors. You will find this equipment installed on wheat headers, mining vehicles, cotton gins, sugar cane trains, amphibious tourist vehicles, marine vessels, garbage & recycling trucks, cranes, forklifts, grain handling, helicopters, bitumen machinery, etc…, not only in some of the most environmentally testing conditions here in Australia, but throughout South East Asia.